ISTANBUL: Omar lives in a small village near the border of Syria and Turkey. The 31-year-old is a husband and a father of four. He used to work in construction, but these days he's a people smuggler. Under the cover of darkness, he and his small band of fellow smugglers guide their Syrian customers along paths through the mountains where they sit and wait for the precisely the right moment to try to slip, undetected, into Turkey. 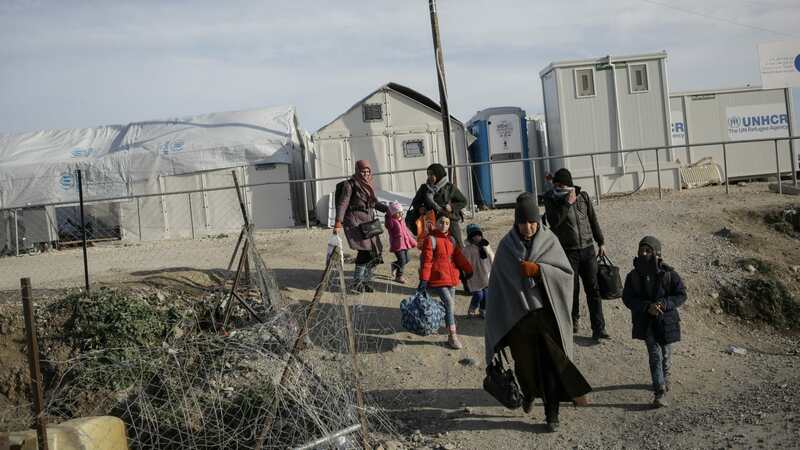 Success has been rare of late due to Turkey's aggressive border patrols aimed at stopping the tide of desperate Syrians trying to leave their war-torn country. Omar knows his current profession is illegal. But he says that compared to others involved in the smuggling business, he and his colleagues are ethical, even altruistic, service providers. "If they are caught, I will give the money back," he tells the German news agency DPA. "We are good people in comparison with other groups. We do not take a lot of cash. If I have clients like parents and four children, I just take money for the parents." Omar is originally from the Syrian city of Latakia, but he left when massive protests against Bashar al-Assad's regime broke out in the early stages of the civil uprising. He feared conscription and wanted to avoid joining any side in the Syrian war. "When the protests started I became unemployed. I moved to the countryside. I had some relatives there, and hoped that I could find a job to earn my living." But soon his cousins were telling him about what was happening at the border. "I heard about deals related to smuggling. You know, someone like me needs money to make his living for his family. He is is ready to do any kind of work for that." It is dangerous and dirty work, and if Omar's account is to be believed, generates just enough income to support his family. "These days, I just take $US150 (133 euros) for each client. Some groups take $US500 or $US800 (446 to 713 euros) but my group does not. We are not blackmailers." "You can say I just get enough money to buy what I need and help my family because the situation at the border ... now it is more difficult. Turkey makes the work worse and worse for us. Nowadays, we barely are successful to serve our clients, last month, each member from my group only got $US25 (22 euros)." Omar says his smuggling group generally involves just seven people. Everyone has a job to do, and there is no boss. "We have people to watch paths, others guide the clients over the paths to cross the borders, and some to make the deal with the clients." He says smugglers in Syria abide by an unwritten code. "Each group has its own routes which they use. We cannot use their's, nor can they use ours. It is like an agreement but problems are possible everywhere," he laughs. "We mainly depend on paths via mountains. Firstly our members who are responsible for watching can decide if our routes are closed or not. If routes are closed we postpone the work for the next night." The is a code, too, for the smuggled: total silence during foot crossings, no mobile phones or lights, and crucially, a vow to protect their smugglers. "If the clients are caught, they must not tell the Turkish border guards about the guides. The clients can pretend that the guides in the group have run away. "The Turkish authorities, they are ready to kill us. If they catch one of us, we are lucky if they leave him with broken bones. They could imprison us as well." Omar tells of three-hour treks, in complete darkness, to get clients to the border. None of his colleagues or clients have ever been killed, he says, but others haven't been so lucky. "I know that four people from other groups were killed by shots from Turkish guards, and a client was injured as well." Omar says his part in the smuggling trade ends when his clients cross the border. Other players on the Turkish side pick up the business from there, charging people to reach the country's interior. "Our service is just to cross into Turkey. But I know some groups who have partners in Turkey, they provide services to cross to Germany, Sweden or other countries." Omar, while accepting he's engaged in a criminal enterprise, also considers himself to be doing some good. "I am doing two good things: giving a hand to people who have been suffering for six years to leave Syria and live peacefully till this war is over. And secondly, I am providing my family with what they need." * Omar's name has been changed to protect his identity.